The housing authority will be developing these penthouses at a residential complex in Sector 19B of Dwarka. The complex will have 11 residential towers housing 1,114 flats (932 HIG flats and 168 super HIG flats) and 14 penthouses. The DDA, in the second phase of its housing scheme for 2019, will auction over 18,000 low-income, middle-income and high-income group (LIG, MIG and LIG) flats in Delhi’s Vasant Kunj and Narela. The registration of these homes, which started on March 25, will end on May 10. In a first, the complete process of the scheme will be through the online medium. The draw of lots for the scheme will be held in May-June while the allotment of the apartments will start in July. Location: Of the 18,000 flats, 8,383 will be in the LIG category; 7,700 in the EWS category; over 2,000 in the MIG category; and 448 in the HIG category. The HIG and MIG apartments will be sold in Vasant Kunj; LIG flats in Vasant Kunj and Narela; and EWS in Narela. To invite more homebuyers, the DDA has introduced the concept of sample flats. The potential homebuyers could visit these sample flats to have a look and feel of what they will get at the time of possession. These sample flats are open for a visit on all days, including, Saturdays and Sundays from 10 am to 6 pm. To ensure easy commute for the visitors of the sample flats in Narela, the DDA also provides a shuttle bus service from the Jahangirpuri Metro Station every Saturday, Sunday and on public holidays. Price: Although the price of these flats is yet to be set, according to the DDA officials, the HIG flats will priced between Rs 1.5-2 crore while the MIG flats would cost Rs 70-80 lakh. The LIG flats will be available for Rs 25 lakh. Size: The flats in MIG category will be of a 2BHK configuration with size ranging between 650-750 square foot (sqft) in plinth area. The HIG flats of 3BHK configuration will be 970 sqft in size. Eligibility: Those applying for the scheme under the EWS category should not have an annual income more than Rs 3 lakh. Each applicant must have a valid PAN card. Additionally, each person can submit only one application, either in their name or as a joint applicant. Application: Those planning to apply for this scheme will be able to do so on the DDA's online portal (www.dda.org.in) starting March 25, by paying a registration fee. The last date of filing your registration is May 10. The application fee and the price of the apartment can be deposited only through net banking. 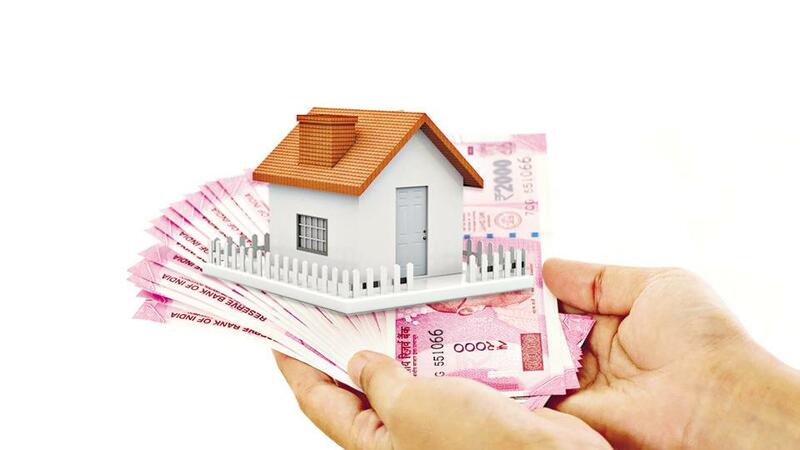 Registration Fee: Applying for flats in the HIG and MIG categorry will attract a registration fee of Rs 2 lakh while for the LIG category the fee has been set at Rs 1 lakh. However, those opting for a flat under the EWS category, the fee is Rs 25,000. In case unsuccessful in the draw of lots, the applicants will be refunded this fee. Visit the page (www.dda.org.in). Click on the DDA Housing Scheme 2019 link. The new page that you are redirected will have the bank website links. Select the bank you want to pay through. You will be redirected to a new page which will have bank website links. Now, choose the bank to fill the form online. Applicant must have an account in one of the listed banks to proceed with the application. Applicant needs to fill the registration form before logging on the bank portal. However, the registration form will be visible only when the applicant confirms the bank through which he/she wants to apply for the scheme. Applicant must ensure that email-id must be valid and functional as the applicant won't be able to change it in the future. Applicant should also mention his/her correct PAN no. The application form without this information shall be considered incomplete and is liable to be rejected. Once the registration is complete, the applicant can log in again and go to the bank portal for filing the application. Those who want to apply for a flat in more than one category will have to deposit application money of the highest category. Self-attested copy of any government-issued identification card. Which DDA Flat Is The Best Investment Option?